An endocrinologist is a physician who specializes in endocrinology, a branch of medicine devoted to the study of hormonal glands and the diseases and disorders that affect them. The specialty involves the evaluation of a wide range of symptoms in relation to a deficiency or excess of hormones. Many of these conditions are chrronic (meaning they persist over a long time) and require ongoing and even lifelong management. An endocrinologist is first trained in internal medicine, pediatrics, or gynecology before specializing in endocrinology. In the United States, the typical training involves four years of college, four years of medical school, three years of residency, and two years of fellowship. Endocrinologists are in high demand with fewer than 4,000 actively practicing the United States, according to a 2014 study in the Journal of Clinical Endocrinology and Metabolism. Endocrinology is a subspecialty of internal medicine whose function is to evaluate how hormones can affect metabolism, growth, weight, sleep, digestion, mood, reproduction, sensory perception, menstruation, lactation, and organ function, among other things. Any dysfunction of these organs can influence how much or little of a hormone is produced. Moreover, because the endocrine organs influence each other, the dysfunction of one organ can have a knock-on effect and trigger multiple hormonal imbalances. Endocrine disorders may be caused by a disease, injury, infection, or a benign or cancerous growth. There are also genetic disorders that can affect the normal function of a gland. Failures in the endocrine feedback loop (the system in which endocrine glands respond to external stimuli or each other) can also lead to imbalances. Depending on the condition, an endocrinologist may work alone or with other medical professionals, including gynecologists, neurologists, oncologists, osteopathic surgeons, pediatricians, and primary care physicians. If you have been referred to an endocrinologist, it is usually because there are indications (either through lab results or symptoms) of a hormonal disorder. Endocrinologists are rarely your first point of contact for a medical condition and almost never work as primary care physicians. Endocrinology is unique in that the diagnosis and treatment of endocrine diseases are guided more by lab tests than almost any other medical specialty. Blood and urine tests are standardly used to measure hormone levels in blood or urine samples. Others tests involve the injection of a stimulating or inhibiting agent to see how an endocrine gland reacts. In addition to blood tests, the endocrinologist may order imaging studies and other procedures to get an up-close look at a gland. Glucocorticoid pills can replace hormones in people with malfunctioning adrenal or pituitary glands. Growth hormone therapy, involving injections of growth hormone (GH), is sometimes used to treat growth disorders in children and GH deficiencies in adults. Hormonal birth control can be used to treat PMS, PCOs, and endometriosis or prevent postmenopausal osteoporosis. Insulin and other diabetes drugs can help normalize blood sugar in people with diabetes. Testosterone replacement, involving injections, patches, pills, and gel, can be used in people with low testosterone (hypogonadism) in men or women. 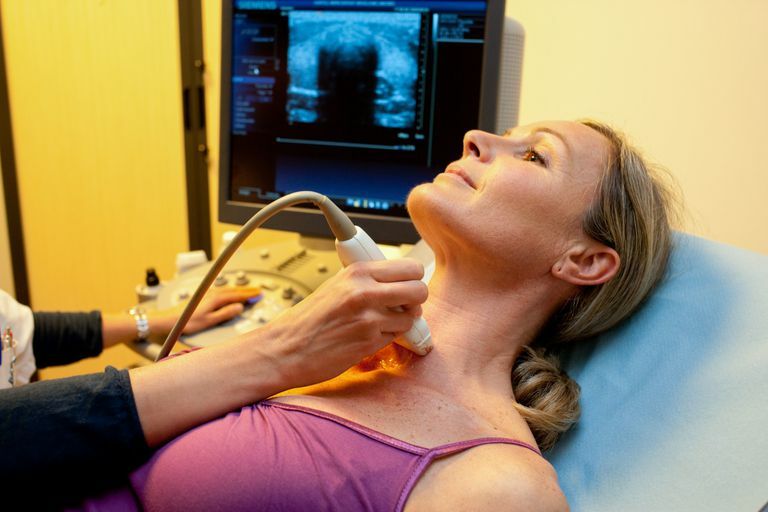 Thyroid replacement drugs, including Synthroid (levothyroxine) and Cytomel (liothyronine), may be used to restore thyroid function in people with hypothyroidism. Endocrinologists are physicians and therefore must obtain a medical degree as either a doctor of medicine (MD) or doctor of osteopathic medicine (DO). The first two years of medical school are primarily devoted to classroom studies. The final two years involve clinical rotations in different hospitals to gain exposure to the various fields of medicine. Upon completion of medical school, graduates must pass the United States Medical Licensing Exam (USMLE) to obtain a license in the state in which they choose to practice. Thereafter, they would begin their postdoctoral training by completing a three-year residency in internal medicine, pediatrics, or gynecology. Near the end of the residency, the endocrinology candidate would apply for a two- to three-year fellowship in endocrinology. Fellowship programs can vary, with some providing general training. while others focus on pediatrics or reproduction and infertility. Many states and hospitals require endocrinologists to be board certified by both the American Board of Internal Medicine (ABIM) and the American Association of Clinical Endocrinologists (AACE), respectively. The peer-reviewed exams are comprised of both oral and written tests. In order to renew a medical license, an endocrinologist must participate in continuing medical education (CME) programs and maintain a certain number of study hours. Depending on the state and medical subspecialty, licenses are renewed every seven to 10 years. if you have been referred to an endocrinologist, it is because a hormonal disorder or an associated condition is beyond the scope of practice of the referring doctor. To get the most out of your appointment, arrive early and bring along any lab tests or imaging studies relevant to your condition. You should also ask the referring doctor to forward any pertinent files in advance of your appointment. The appointment would generally start with an extensive review of your symptoms, medical history, family history, and any medications you are taking. It often helps to write these things down in advance so that you don't forget or overlook them. What experience have you had treating this condition? How much of your practice devoted to this condition? What should I expect once I start treatment? What is the success rate for the treatment? When might I know if the treatment is successful? Will the treatment affect my ability to work? Who do I call if there is a problem, even at night? Is there anything I can do improve my condition? What might happen if I choose not to be treated? To find a certified endocrinologist, ask your primary care provider for a list of referrals or do an online search using the ACCE member locator. You can then check their board credentials via the ABIM verification portal. Finally, don't forget to check whether the endocrinologist and lab are in-network providers with your insurance company. If not, you will almost certainly pay more and, in some cases, the entire billing amount. Endocrinologists often choose the profession because it doesn't involve just one organ system or disease. Rather, endocrinology looks at the interrelationship between multiple organs and how they each contribute to a disease. The profession demands three-dimensional thinkers who are naturally curious and able to look at a problem for all sides. The practice itself typically operates during normal office hours. Most tests and procedures are conducted in-office. Unless the practitioner specializes in surgery or cancer treatment, the more invasive procedures are standardly referred to an outside specialist. According to the annual Medscape Compensation Report, endocrinologists in the United States earned a median income of $212,000 in 2018. Roughly 73 percent operate private practices in a profession largely dominated by women. Bornstein, S.; Allolio, B.; Arlt, W. et al. Diagnosis and Treatment of Primary Adrenal Insufficiency: An Endocrine Society Clinical Practice Guideline. J Clin Endocrinol Metab. 2016 Feb;101(2):364-89. DOI: 10.1210/jc.2015-1710. True, M.; Folaron, I.; Wardian, J. et al. Leadership Training in Endocrinology Fellowship? A Survey of Program Directors and Recent Graduates. J Endocrine Soc. 2017 Mar;1(3):174-85. DOI: 10.1210/js.2016-1062. Vigersky, R.; Fish, L.; Hogan, P. et al. The Clinical Endocrinology Workforce: Current Status and Future Projections of Supply and Demand. J Clin Endocrinol Metabol. 2014 Sept;99(1):3112-21. DOI: 10.1210/jc.2014-2257.